A group of British Generals and military advisors have arrived in Syria to recruit and train the terrorist groups which have withdrawn from Aleppo, a Russian daily reported. The Izvestia newspaper reported that UK Defense Minister Michael Fallon had earlier said that 20 British military instructors have already arrived in Syria to “restore the combat capability of units of the moderate opposition which has retreated from Aleppo”. Earlier reports, in October, said that Britain had sent its military experts to Syria before Aleppo’s liberation by the Syrian army to train the fresh terrorists for combat, first medical aid and defuse bombs. 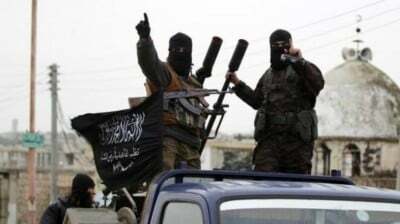 Based on reports in certain media and the social media pages, the mission of these advisors changed with a change in conditions and their first mission now is to assess the combat capabilities and military equipment of the terrorist groups which have left Aleppo and they are due to determine new strategies for the so-called “moderate” dissidents to unite them under a united military command. The British Generals and officers are now being safeguarded by the air force.